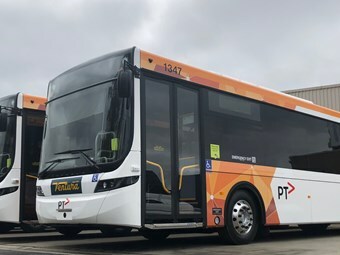 MELBOURNE’S LARGEST bus operator, Ventura Bus Lines, has extended its bus supply agreement with Australia’s largest bus body builder, Volgren – for four years, it’s reported recently. Volgren will deliver a minimum of 21 route buses, built primarily on Scania chassis, each year until 2022 to Ventura. Under the new supply contract, Volgren will deliver a minimum of 21 route buses, built primarily on Scania chassis, each year until 2022, it’s reported. Michael Hourn, Ventura’s general manager for Fleet and Maintenance, said the new deal would be a first for the company, whose procurement committee has previously reviewed supply agreements on a more regular basis. "Traditionally we go through the process every two years to maximise purchasing power; however, this time around our procurement committee were open to longer agreements than two years. Anywhere up to four years." Hourn says with a number of key personnel on its procurement committee, it considers price in conjunction with quality. "We can get a cheaper product elsewhere, but we won’t compromise on quality," he said. "We look at run rate. And by that we mean: are we happy with the product? And we’re really happy with the product. We buy the best product for the best price." "The Optimus low-floor is an excellent city bus and it’s widely recognised as one of the better products going around." Under the new supply agreement signed in August, Volgren will deliver 18 vehicles by Christmas this year. The buses are predominately government-contracted replacements; the agreement includes a commitment to partner with Volgren on growth buses, as well. This could involve the annual supply number reaching into the high 20s. The majority will be low-floor route buses, but there will be an average of two articulated buses per year, it’s stated. Hourn says while the specifications of the new buses are similar to those of the company’s current Volgren fleet, designers and engineers from both organisations will continue to work collaboratively to deliver a modern, safer and cleaner bus. "The new buses will include some new anti-vandalism measures including a spray-on coating which will prevent [graffiti] ink from actually staying on. It’s quite exciting, although it’s early days." Hourn says they had also modified the seating configuration; a change he thinks will make a noticeable difference in lowering customer falls. There are also new safety measures for drivers around the driver’s security screen area, it’s claimed. Volgren CEO Peter Dale says the Ventura-Volgren partnership has become stronger over the years thanks to a shared confidence that one party can always expect value from the other. "The value we provide to Ventura comes from an unrivalled whole-of-life bus cost. We are proud to offer a bus that, with its advanced engineering and unique Co-bolt design, delivers the lowest cost of life savings to Ventura," Dale said. He adds that one of the advantages of an extended partnership between Ventura and Volgren will be continuity – for drivers, passengers, administrators and local businesses that rely on the collaboration to employ significant numbers of people and, in some cases, to remain feasible. "But continuity doesn’t mean complacency. We will, as we’ve always done, listen to Ventura’s feedback, value their input and continue to advance in the areas of body design, engineering, after sales service and technological innovation."